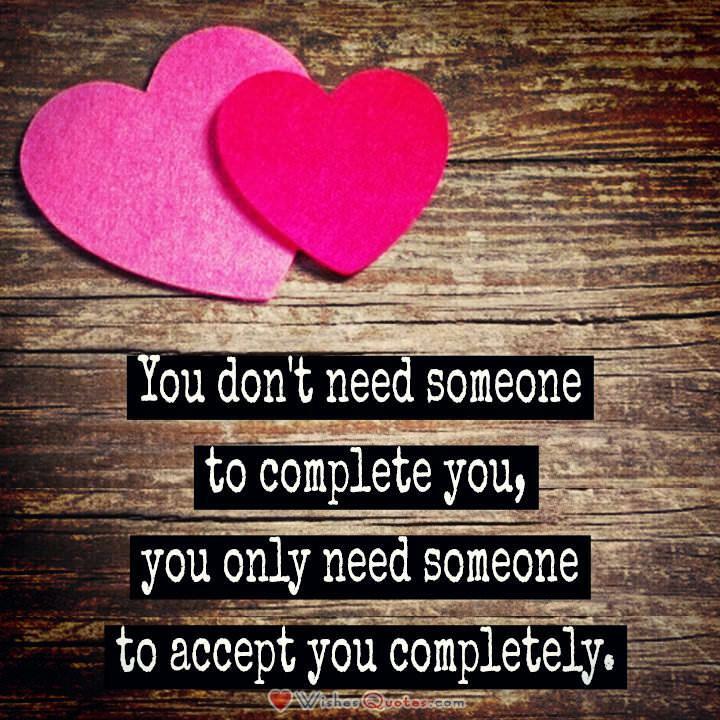 You don't need someone to complete you, you only need someone to accept you completely. Too often people think the role of a boyfriend or girlfriend is to make them happy and complete their life. They neglect to focus on making themselves happy and rely on someone else to do so. However, the truth is, one’s happiness and sense of being a complete person is something that they are supposed to do. It’s not incumbent upon anyone else to provide you with happiness and a sense of completion. Even the bets boyfriend or girlfriend in the world cannot provide you with completion. It is through one’s complete sense of self and working on yourself, will you reach completion. The fact is, the more complete and fulfilled you are, the likelier you will be to find someone that fits with you and is a good partner. The key is to find someone that complements you, not completes you.